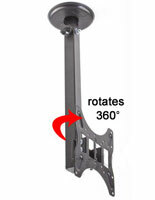 TV Mounts & Hangers - Suspend Your Flat Screen from Above to Save Space! 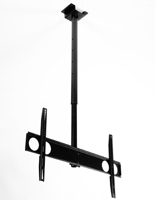 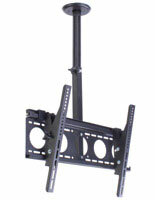 TV hangers are invaluable for those trying to mount large flat screen televisions in homes or businesses. 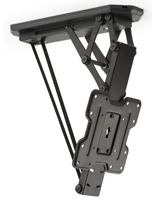 The innovative design of the LCD brackets ensures that floor and wall space is conserved for other uses. 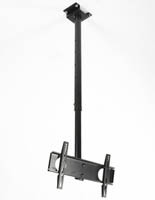 Whether you use a TV hanger to open up more area in your home or in a commercial establishment, the benefits are great. 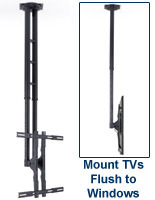 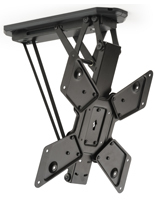 Many of our ceiling mounts and brackets feature adjustability, like screen tilt and panning. 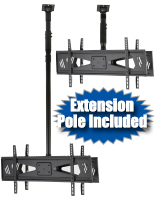 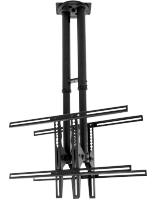 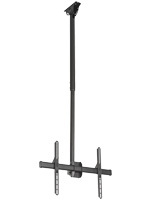 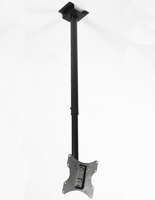 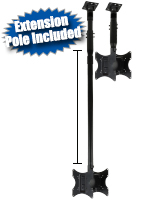 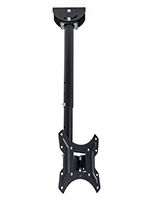 Some even offer height adjustment or pole extension, so you TV can be set up properly no matter what the location is. 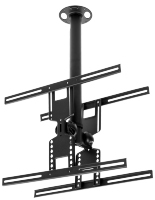 There are tons of practical applications for these ceiling TV hangers. 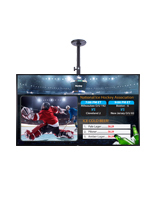 Many retailers develop elaborate window displays complete with traditional store fixtures as well as modern technology displays and digital signage. 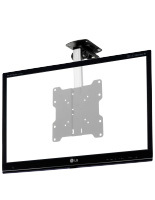 For these situations, we recommend one of our flush-mounting brackets that position the flat screen monitor as close to the window as possible. 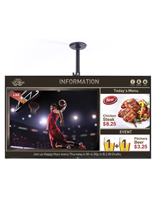 This setup increases visibility, which is extremely important when promoting sales or store events to pedestrians passing by outside. 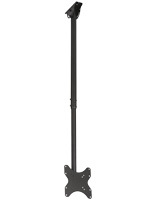 Transportation terminals frequently post arrival and departure times on monitors that are displayed overhead. 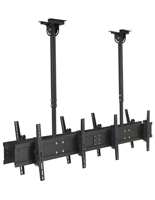 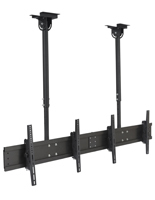 Our double-sided hanging racks mount two televisions back to back, so it is not surprise that they have become very popular in airports, train stations, and even shopping malls. 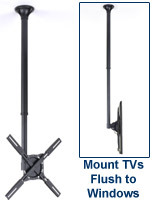 Other times, residential situations call for ceiling mount. 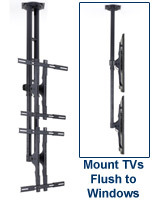 With more and more homeowners installing theaters, the need for these types of TV mounts is also increasing.